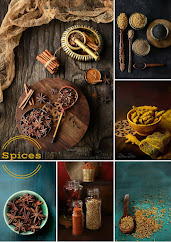 Old recipes new -look !! 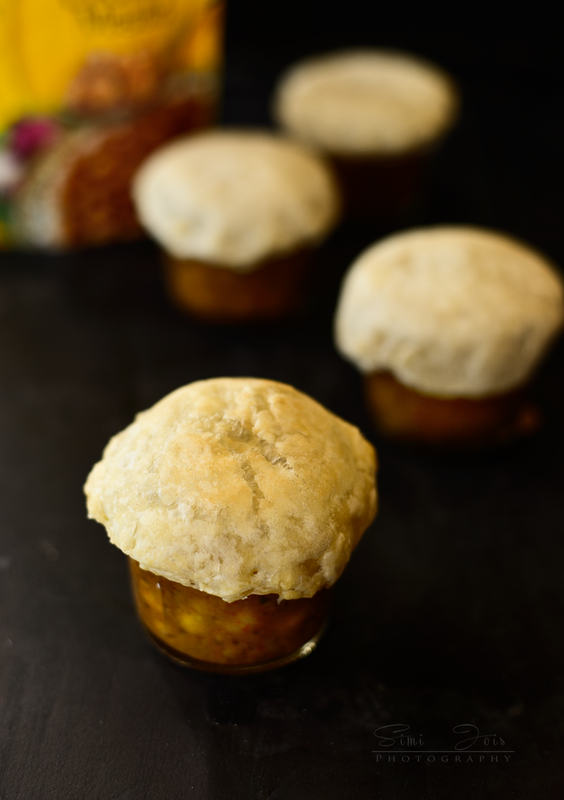 Choley bhaturey presented as pot-pies. Channa-bhaturey reminds me of Delhi. I was doing my post graduation in marketing and we had this guy, a street vendor who sold channa-bhatura. In the hot summer months, we would stand outside in the heat, on the streets and enjoy the meal. I don’t remember Kotler (one of the pioneer gurus of marketing) as much as I remember the taste of the channa. No offense to Kotler. We were a crazy bunch, loud, obnoxious and always hungry for food. When you have great friends and good food - life is good !! Well, those days, life was simple. I don’t think we have laughed as much either - there were always stories!! I wish we had cell-phones back then, I would have had a couple of selfies to share. It’s hilarious to think back that the guys would love to pay for our meals - hoping for some spark of romance. It’s strange how food is so strongly associated in our minds with memories. 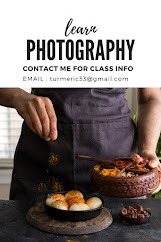 A couple of months back I did some recipes and photography for Tasty Bite. 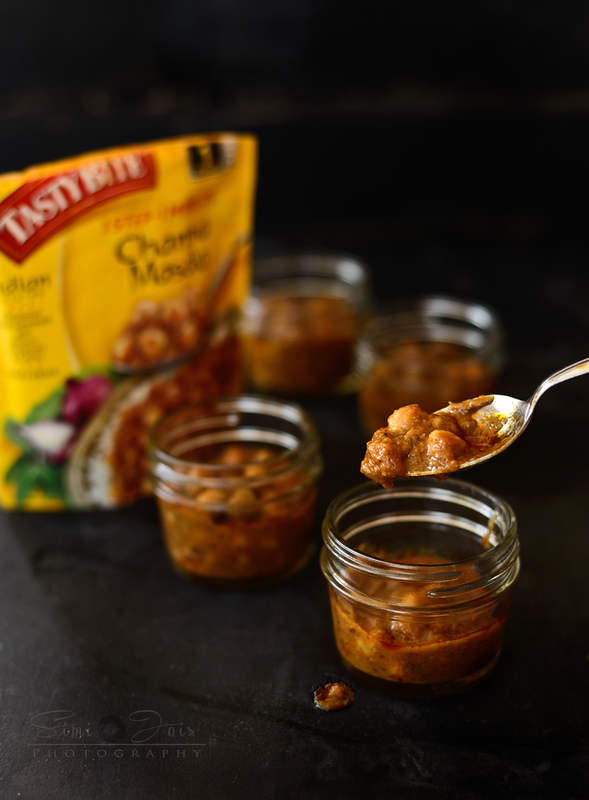 They wanted me to develop an easy recipe from their ready to eat Channa- Masala. For me channa- masala/ choley and bhaturey is one of the classic combinations you cannot beat. Hot spicy channa, deep-fried bhatura, with onions and lime on the side - mouthwatering right? When you have a classic combination like that, it is hard to think of something out of the box. My teen loves choley-bhaturey and will eat it every single day if she can. This is a great after school snack for her. Quite filling and a great size for snacks. If you want to make a meal out of it, just pick a bigger pot to make your potpies. I did not go the traditional way - with the bottom pie crust. In fact the top crust has more of a bhatura consistency - since that was the inspiration behind this. It’s flaky and light, not at all crusty. There are a couple of ways to make this. You can opt for the read-to-eat way, ready channa with puff-pastry sheets as the crust/bhatura or make it all from scratch. Since I was making it for Tasty-Bite I adopted the mid path. Ready-to eat channa with bhatura crust from scratch. Double the amount for more. I used this proportion for one packet of Tasty-bite channa-masala. Combine flour and salt and add the chilled chopped butter, combine so the mixture resembles breadcrumbs, add the water one tbsp at a time and mix, do not over mix or knead. If there are some butter pieces in the dough, don’t melt or mix it. Cling wrap and refrigerate for 4 hours or overnight. It’s a hard and tight dough. 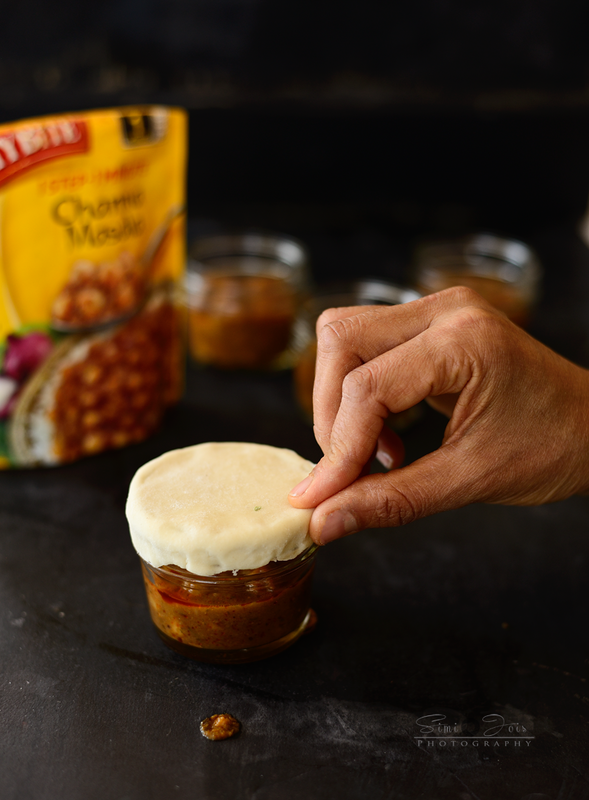 Divide the channa masala equally into 2 or 4 small containers which are bake proof. 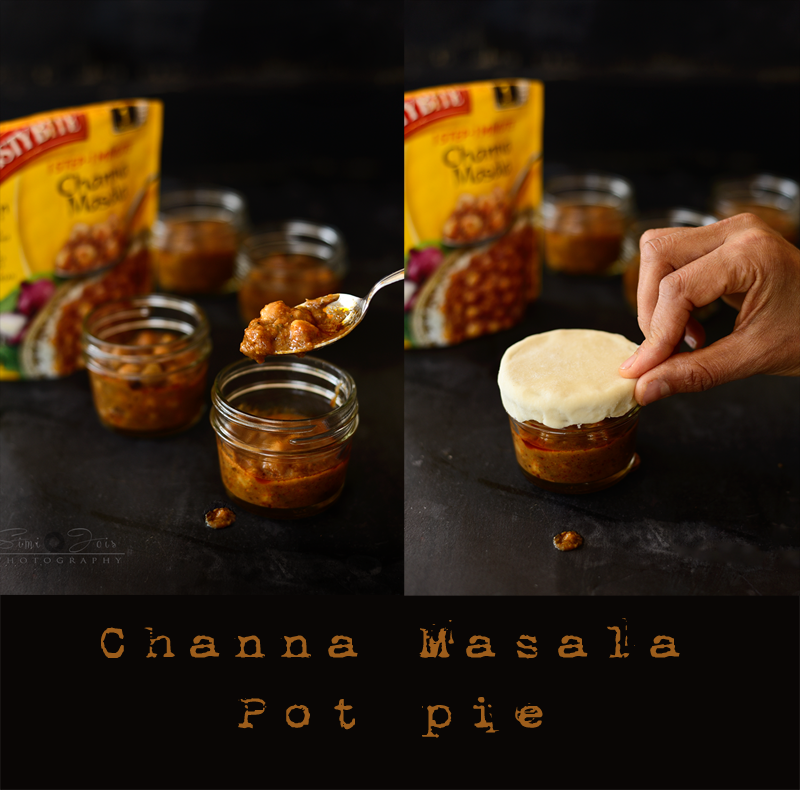 Divide the pot pie dough into 2 or 4 balls, depending on the number of channa masala containers you have. Kneed it just to soften a little bit, do not over knead. Roll each dough into circles bigger than the container which has channa masala. Use dry flour so the dough does not stick to the rolling pin or the surface. Bake for 12-18 minutes, till the dough looks nice and flaky, serve hot. 1 cup of Kabuli Chana- soaked overnight in warm water with a pinch of baking soda. ½ cup black tea…without sugar and milk. Pressure cook the chana - till done. It should be really cooked well. Grind the onion, tomato and ginger to a fine paste. In a pan heat the oil, add the cumin seed…let it splatter now add the onion paste and let it simmer till the sides leave oil, add all the dry powders along with the cooked choley and the tea….let it boil for 30-40 minutes. It should be nice and thick consistency. Sometimes, it's good to re-do the old posts, isn't? You know I love chole masala - my husband even calls me a chick-pea. 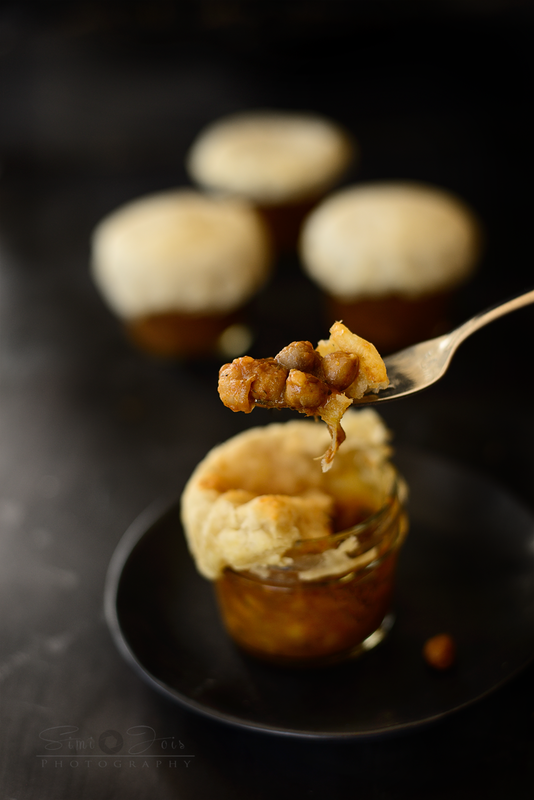 But never thought of adding puff pastry to them and turn into a 'chole bature! Love it :) You are so unique and your photographs are making me hungry. Thanks :) I had done this post for Tasty-Bite but had forgotten to post it on my blog. So it’s an old recipe, published on TNS now. 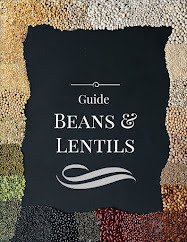 You might have seen it on Tasty-Bite blog. This post bought back lot of college memories and street food fiestas. Thanks a bunch Simi. Chole in a pie sounds interesting. Can the same be done with mud pots? Can we bake them the same way? What a creative idea and cute way to present this dish! Love this idea!